If you are going on a trip to Europe, a British festival has to be on your list of must-sees. Look no further than Strawberries & Creem. S&C is a day festival set on Haggis Farm near Cambridge, a city 50 miles north of London. It’s timed with the end of Cambridge University’s finals, so you’re guaranteed a great crowd of party-goers. 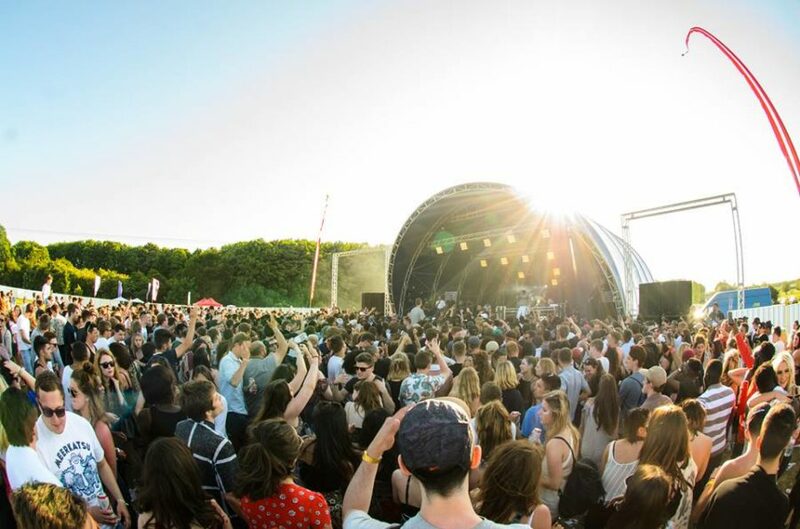 In 2014, S&C began as a garden party with a capacity for a thousand people. The founders, all Cambridge University students, have tried to double it each year. This year, 10,000 people attended, with some major British headliners including Wiley, J Hus and Shaggy. Grime, house and rap are not the only things on the menu; there’s fantastic street food, great atmosphere and a f*ckload of beer. There are multiple stages offering a variety of music and the crowds range from mellow to moshy. S&C has something to tickle everyone’s fancy. Keep your eyes peeled for 2018, which is promised to be even bigger and better. The sunset made everyone look twice as jazzy. A handy tip: if you buy a beer, your cup is a $2 deposit. So if you collect enough cups that people have littered on the ground, you’ll get free beers for you and your friends. You can see from our facial expressions and the dribble on my brother’s T-shirt that we found copious cups on the ground. India Clare chronicles her overseas adventures this summer. Contact India Clare at [email protected].